The taxonomy of the troodontid IVPP V 10597 reconsidered. 2012. Xu Xing, et al. Vertebrata PalAsiatica 50: 140-150. Abstract: The partial troodontid hindlimb IVPP V 10597 was originally described as a juvenile Saurornithoides mongoliensis. The present study reconsiders the taxonomic placement of this interesting specimen, given the significant advances in understanding of the Troodontidae that have taken place since it was first described. Morphological comparisons and numerical phylogenetic analyses indicate that V 10597 is more closely related to the sympatric linhevenator tani than to Saurornithoides mongoliensis raising the possibility that V 10597 might be a juvenile L. tani. 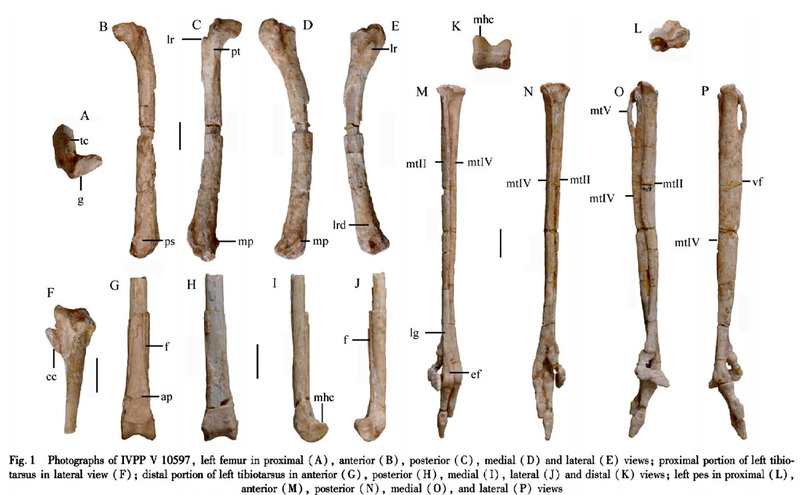 However, V 10597 differs significantly from other troodontids, including L. tani in numerous hindlimb features and particularly in the proportions of various hindlimb elements. These differences are likely to be taxonomic, and suggest that V 10597 represents a new troodontid. Furthermore. 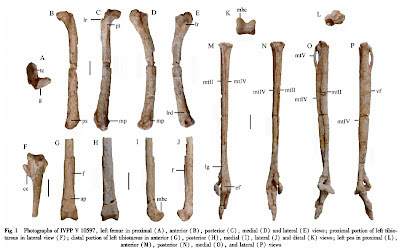 histological analysis indicates that V 10597 is unlikely to be a juvenile of L. tani or any other large troodontid. Based on the available morphological and histological information. We propose the new taxon, Philovenator curriei gen. et sp. nov., based on V 10597. The Return of Steve Bissette's Tyrant! Premiered This Day: One Million B.C.